You recently tested positive for DUI in Los Angeles via a breathalyzer test. Perhaps you’re an underage driver who blew a relatively low 0.06% BAC. Your BAC level wouldn’t have been a problem, had you have been of legal drinking age. Or perhaps police stopped you at a checkpoint in Pasadena, and you blew a 0.09% – just over the legal limit – and performed less than stellarly on your field sobriety tests. Or maybe you blew an “extreme DUI” of 0.17%, after you got into an accident. In all these situations, your Los Angeles DUI defense attorney may be able to challenge the results or accuracy of the breath test to reduce your penalties or potentially void them entirely. For instance, consider the “extreme DUI” example. Perhaps your lawyer can convince the court that you weren’t 0.17% but rather 0.14%. Even that may be enough to substantially reduce your penalties, such as jail time, fines, probation, alcohol school, etcetera. 1. Alcohol left over in your mouth. Here’s a gross but true fact: alcohol can get stuck in between your teeth and in your mouth, depending on your dentition, your general oral health, and other factors. 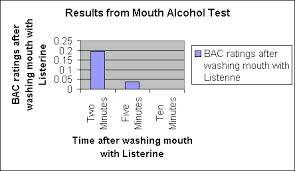 This “mouth alcohol” can throw off your BAC reading and cause it to read higher than it is, objectively. 2. You may have a slow alcohol metabolism. The breath test doesn’t measure blood alcohol directly – it infers it. How long does it take you to absorb and metabolize alcohol? The breath test results may skew higher than your objective BAC level. 3. The strength of your exhale can skew the test results. If you blow out “super hard” during the breath test, you can skew the BAC reading to be higher than accurate. This is one of the reasons why many law enforcement officials ask people to “blow deeply” into breath machines. They know that the deeper you blow, the higher your BAC reading will be, all other things being equal. • Whether the machine itself has inherent engineering flaws. Of course, a breath test is not always challengeable, but you might be surprised by the sheer diversity of DUI defenses available to you. Talk to a highly respected and experienced Los Angeles DUI criminal defense lawyer at the Kraut Law Group to get a handle on your options. Attorney Kraut is an ex-D.A. He has a deep understanding of the prosecutorial process and great relationships in the system.